I’m Nina Modak, creator of EAS. If you desire to take back control of your life and teach your child to live allergy safe but don’t know where to start, this page is for you. My belief in helping you learn is simple: be honest, share my experiences, show opportunities in obstacles and lead by example. That’s what I’m all about, and that’s what EAS is all about. An allergy is when the body has an immune response to a foreign invader, also called an allergen. This causes a reaction in the body with symptoms such as hives, vomiting, swelling, fatigue and stomach cramps. The most severe form of allergic reaction is called anaphylaxis. Worse case scenario is death. How Can We Be Allergy Safe? Learning how to use our knowledge and abilities to feel less afraid and more empowered, so that you can teach your allergic child to own their allergy and live the life you know they deserve. In other words, we don’t let allergies limit us. Instead, we take this biological fact of an allergy(ies) and use it to our advantage as a tool to teach children how they can be confident adults who can follow their dreams. I have 3 great articles for anyone who wants to find out quickly how you can approach allergies and allergy management. EAS fans tell me all the time how much this articles have helped them understand different approaches and how some can be more affective than others. Let’s dispel some myths and set some realistic expectations before we go any deeper. 1. Allergies are NOT a fad/phase/only in your head/a cry for attention. Whatever any uninformed person says, the fact is allergies are an auto-immune response the body has to certain proteins which for many people do not cause a problem. You do not personally choose which allergies you have or don’t have, your body tells you “don’t eat this food! It hurts me! :'(” by having an allergic reaction. These allergic reactions can include swelling, hives, vomiting, stomach cramps, fatigue and other symptoms. They are serious and should NOT be ignored. If you think your child has an allergy, see a doctor! 2. Allergies are NOT cured overnight, if at all. The closest thing to a cure currently available is Oral Immuno-Therapy (OIT), this is about de-sensitizing the allergic body to said allergen. It takes time: low and slow exposure to an allergen. DO NOT TRY THIS AT HOME! That would be incredibly stupid and risky. OIT should only be undertaken while supervised in a medical facility by medical professionals with emergency medicine on hand. The majority of people will have their allergies for life, especially if they are severe allergies. But this does not stop them enjoying or achieving their ambitions. 3. Allergies are NOT the defining aspect of yours or your child’s life. Allergies are a biological fact of your child’s body that aggressively tells you what not to feed your child. But that is it. Your’s and your child’s life is made up of so much more that allergies. Thank about your child’s favourite activity, their favourite colour. What do they get excited about? What about you, the parent? What are your passions? You are also a loving, caring parent who will do anything for their child. These are things that define you not the circumstances who find yourself in. Why not check out the Eat Allergy Safe Podcast. Each week I interview inspiring allergy parents, bloggers, listeners and business owners who share their journey with me and all they’ve learned. Click here to go to the Podcast Page. Knowledge is power. To manage your child’s allergy, you NEED to know the facts. FIRST : In order to keep your child allergy safe you need to know what happens in an allergic reaction, what can trigger an allergic reaction and how to deal with it, should it happen. SECOND : Other people will not know allergies, much less your child’s allergy like you do. You need to know the facts about allergies so that you can educate those who will come into contact with your child (school, restaurants, friends, family etc). By having the facts you will know the information you have is correct and the management methods you employ are the right ones for your child. Should the need ever arise, and sometimes it does, you will be able to lay down cold hard facts to make sure people sit up and pay attention. So how do you go about getting the facts? Well, we’re writing a course to help you on your allergy journey. It will include a list of things you need to know, explanations on core allergy management principles, shopping tips and more. Sign up now, and you can help us tailor the course to your needs, we’d love to have your input! Your child has an allergy. It’s how you think about it that will either create or break your life. Allergies are a biological fact of some people’s bodies. Accepting that, taking ownership of your child’s allergy and teaching them to do so will be a life changing step towards creating the life you want for your child. This may seem far fetched to some, but I wouldn’t say this if I didn’t whole-heartedly believe it. So I’m going to say it again, taking ownership of your allergy WILL change your life. Allergies do not suddenly go away, or get cured over night. Letting the fear of allergies run your life is no way to live. So, now it’s about creating opportunities out of obstacles! 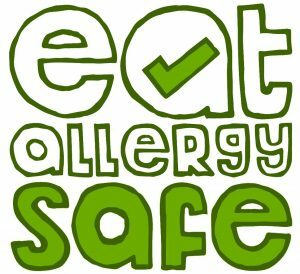 Allergy safety precautions are a fact of our lives, but wherever you live, what ever you do, you and your child will have to take them. So you might as well own it! I’d love to share with you some of the insights and guidance that I’ve learned along my allergy journey. The content in this email course is exclusive. You won’t find it anywhere else. That’s because I believe it’s important to start out with a focused, nurtured experience that rewards commitment. Get immediate access now by clicking the button below. I cannot wait to help you get started. I am here for you as your guide and your friend. I want to here your stories. I want to know how I can help you. I want the Eat Allergy Safe experience to be our experience, together. That’s how we all learn and grow together, including me. I do my best to respond to emails. I believe you have the strength to empower your life and the life of your child/ren by creating opportunities out of obstacles. I believe I am a normal (grown up) allergy kid who has gone through the same struggles, and now has come out the other side. I figured out how to live my life the way I want and I know you can too! In everything I do on EAS, I truly want to make a difference in the world, making allergies less scary and more empowering.